Mukhammad Andri Setiawan is the Chief Information Officer at Universitas Islam Indonesia. He has been joining Universitas Islam Indonesia since 2003. Andri has over 20 years experience as an IT engineer and still has a passion for doing one, even though now he has a role as CIO. He is also working as an Assistant Professor and Lecturer in Department of Informatics, Universitas Islam Indonesia. He holds PhD from the University of Queensland, Australia, and a Master degree in Communication Software and Networks from Nanyang Technological University, Singapore. 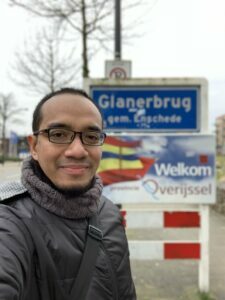 He has lots of passion for improving internet in Higher Education Network and he is now part of Indonesia Research Education Network (IdREN) committee. He is actively engaged with IT communities at universities network across Indonesia and Asia Pacific. He is also the main contact of eduroam in Indonesia. His main research interests are in the area of Business Information System that covers area such as business process management and improvement, organizational change through the information system, IT governance, security and also research area in the development of the Internet of Things, and mobile application development. He also holds a CCNA certificate and certified trainer for Cisco Networking Academy and Cisco Networking Academy Instructor program – Cisco Instructor Trainer (for Indonesia area). He is now also serving as the head of Training and Community development, a sub unit at IDNIC (Indonesia Network Information Center), the National Internet Registry (NIR) of the Republic of Indonesia.